Leverkusen, 6 September 2018. Once again this winter, the brake specialist TMD Friction will be supporting its customers with its “Be prepared for winter” Textar campaign and is preparing motorists for the coldest time of the year ahead. 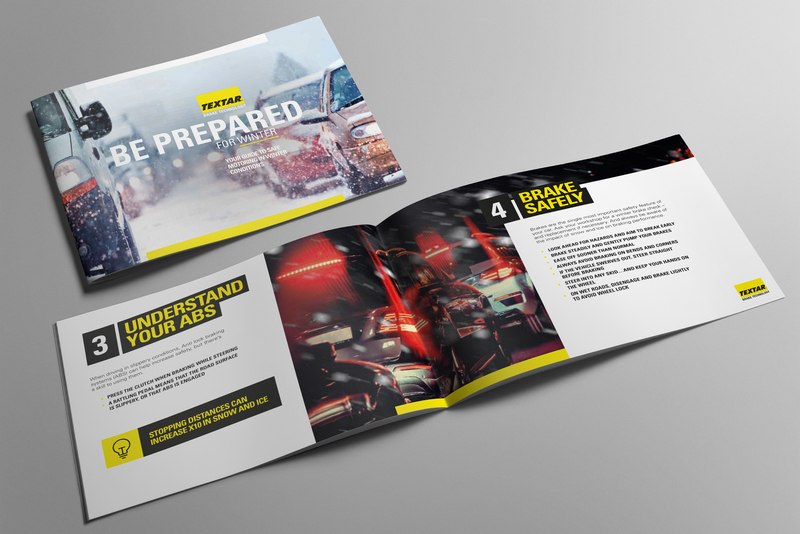 The winter campaign again includes a brochure and a video, which demonstrate important tips and tricks for correct vehicle maintenance and preparation for the winter. The new brochure and the video will be available to download free of charge on the Textar website (www.textar.com). The individual tips will also be shared on Textar’s Facebook page as a video. Along with the revised brochure layout, there are two new tips this year which are also available as individual video clips. On one hand, there is helpful information about understanding your anti-blocking system (ABS). On the other, Textar advises all motorists to take part in a professional winter driving course as offered by car clubs and testing organisations to prepare themselves for driving in extreme and hazardous situations. “Our winter and spring campaigns with their free brochures and videos are very well received in workshops and the retail sector. So we want to support our customers from an early stage in preparing motorists for wintry conditions once again this year. Ultimately, safety is always the top priority for Textar”, stressed Sabine Brühl, Group Creative Marketing Manager at TMD Friction. Picture: The new brochure and the video will be available to download free of charge on the Textar website (www.textar.com).